"Smoke and Mirrors: Reconciling the Right to Health and the Right to Tobacco in Times of Armed Conflict"
Introduction: Imagine a situation where one internee or prisoner of war demands his right to tobacco - presumably in the form of smoking a cigarette - under the 1949 Geneva Conventions while a neighbor simultaneously demands his right to health - here, in the form of the right to be free from the harmful effects of tobacco. As individuals within these groups tend to live in close proximity to one another for the duration of the hostilities, this problem presumably is not merely hypothetical, even though an actual case that pits these two rights against one another has not yet grabbed the public spotlight. Given the growing number of pirates, their apparent predilection for cigarettes, and the possibility of them enjoying prisoner-of-war status after their capture until a competent tribunal has determined their status, the stage might be set for just such a case. Regardless, which neighbor's right prevails? Putting aside the somewhat obvious solution of creating smoking and non smoking zones, similar to those that exist in some airports, this article explores how to resolve this apparent conflict between rights and whether they actually conflict in the first place. At first glance, it would seem like these rights directly and irreconcilably conflict. However, upon closer inspection, it becomes clear that there is no actual conflict between these two rights. Although the traditional view is that as soon as armed conflict begins, international humanitarian law supersedes international human rights law as the lex specialis, in reality this is not necessarily true. Indeed, several conditions must be satisfied for lex specialis to apply. For this article's purposes, the key condition is that both rights must be applicable at the same time for them to conflict. Despite the expansion of the scope of international human rights law into times of armed conflict through the 2003 Legal Consequences of the Construction of a Wall in the Occupied Palestinian Territory advisory opinion, the two rights in question actually do not apply at the same time. Since international humanitarian law remains applicable only during times of armed conflicts, the two norms will be applicable at the same time only if the international human rights norm also applies during times of armed conflicts. The Wall advisory opinion established that only non-derogable human rights norms - for example, those under Article 4 of the International Covenant on Civil and Political Rights - would apply during armed conflicts. It is highly unlikely that the right to be free from the harmful effects of tobacco is a non-derogable right. Therefore, the tobacco user's right will trump virtually every time, again, assuming arguendo that that use takes the form of smoking tobacco. This article is divided into six parts, including this introduction and an equally brief conclusion in Parts I and VI, respectively. Part II lays out the history of tobacco use, focusing specifically on the perceived harms and benefits of tobacco on health, which is important in understanding why the right to tobacco and the right to be free from the harmful effects of tobacco have evolved as they have. Part III explains the oft-overlooked rights to tobacco contained in such provisions of international humanitarian law as Article 11 of the 1929 Geneva Convention Relative to the Treatment of Prisoners of War (1929 Geneva Convention), Articles 26 and 28 of the 1949 Fourth Geneva Convention Relative to the Protection of Civilian Persons in Time of War (Fourth Geneva Convention). Part IV explores the right to be free from the harmful effects of tobacco that comes from the World Health Organization's Framework Convention on Tobacco Control (Framework Convention), various human rights treaties, and customary international law. Part V evaluates the secondary rules that exist for resolving this apparent conflict and concludes that there is no legal conflict between these primary rules, although they do still conflict from other perspectives. Critics will complain that this article fails to fully address the clash-of-rights issues presented in the first paragraph of this introduction. However, such criticism misses the entire point of this article - that clash-of-rights issues arise only when rights actually conflict, and there is no actual conflict between the right to tobacco and the right to be free from the harmful effects of tobacco. 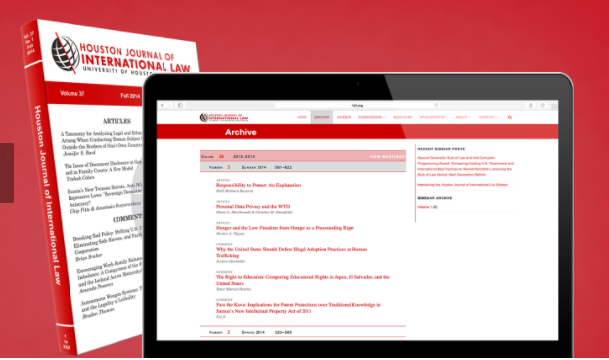 While ample literature focuses on how international humanitarian law and international human rights law conflict of potentially conflict, this article appears to be the first to provide a detailed analysis of whether rights in these two areas of international law actually conflict, making the secondary rules for resolving conflicts relevant. This article also is unique in providing the first academic analysis of the right to tobacco, although there are other academic articles on the right to be free from the harmful effects of tobacco. It is somewhat surprising that previous academic studies have not focused on the right to tobacco, given that tobacco made up 2.18 percent of the overall weight of consignments to prisoners of war, civilian internees, and deportees from October 18, 1940 to December 1945, with tobacco apparently becoming the category of supply with the highest percentage on the International Committee of the Red Cross' budget in recent years. This article also provides the first comparison of these two rights, which would have been an interesting case study fur the interaction of different branches of international law and the interpretive tools available for reconciling conflicts had these two branches actually conflicted with regard to tobacco-related rights. I was unaware of the fact that tobacco is one of the right of prisoner and it should be provided to them. James Fry and Agnes Chong on Reconciling the Right to Health and the Right to Tobacco in Times of Armed Conflict is indeed a very informative journal.